One Newark man at the Meadowlands turned a $110 football bet into $82,000. The company partnered with the Meadowlands to offer sports betting – FanDuel, at first refused to pay over $82,000 in bet winnings to a New Jersey resident over a glitch in the betting odds system which allowed the bettor to purchase an in-game bet slip with 750-1 odds on the Broncos vs Raiders Sunday football game. The company at the time claimed a system malfunction, stating the correct odds should have been 1-6. The dispute gained national attention and led to an investigation by the New Jersey Division of Gaming Enforcement. The affected party, Anthony Prince, bet the Denver Broncos to win against the Oakland Raiders just one minute before the end of the game. When Prince went to collect from the FanDuel, the clerk denied Prince’s winnings. The clerk stated FanDuel’s house policy accounts for erroneous glitches and system errors thus not obligating the sportsbook to payout. The company then offered to give Prince $500 and skybox tickets to future NY Giant games and pressured Prince to accept due to no obligation on part of the company to legitimately pay or offer Prince anything. Prince became furious and rejected FanDuel’s offer, stating to numerous local news sources afterward he simply wanted his payout for his bet. Prince told FanDuel he would seek legal counsel and during a media interview, Prince was quoted saying he “would rather use [an illegal] corner bookie” over New Jersey’s regulated FanDuel platform due the payment dispute, following up with “at least there [at the corner bookie’s] you’d get paid”. Several other bettors effected by the glitch did not receive their payouts from FanDuel either. The odds glitch lasted approximately 18-seconds which was enough time for bettors to take advantage of. Mobile sportsbook bettors received their initial winnings automatically but were withdrawn the next day from their mobile accounts. The issue received so much local coverage it drew the attention of the New Jersey Division of Gaming Enforcement. Director David Rebuck personally addressed the issue and revealed the start of an internal investigation of FanDuel’s betting system. The director was concerned over the issue citing internal measures should have prevented such an error on FanDuel’s part. Within the following week, FanDuel publicly announced they would payout the winnings to each bettor affected by the glitch. 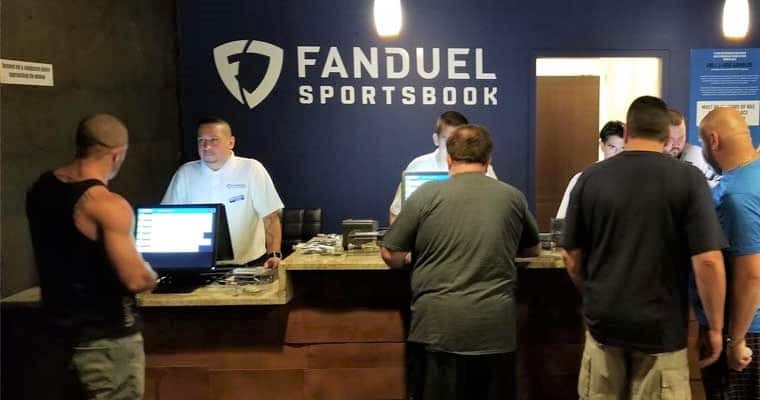 Speculations state the amount of bad publicity and ruined trust for state-regulated sportsbooks forced FanDuel to reverse their stance on the glitch. FanDuel then went above and beyond to prevent FanDuel Sportsbook account closures by offering to provide $1,000 deposits to 82 random FanDuel Sportsbook account over the proceeding weekend.